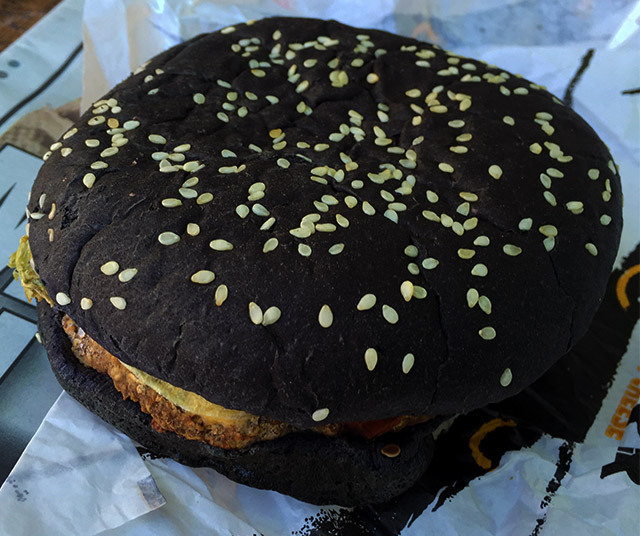 The Halloween Whopper: Two Years Later. | Dinosaur Dracula! 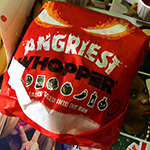 Exactly two years ago today, I tried one of Burger King’s Halloween Whoppers. You remember them, right? 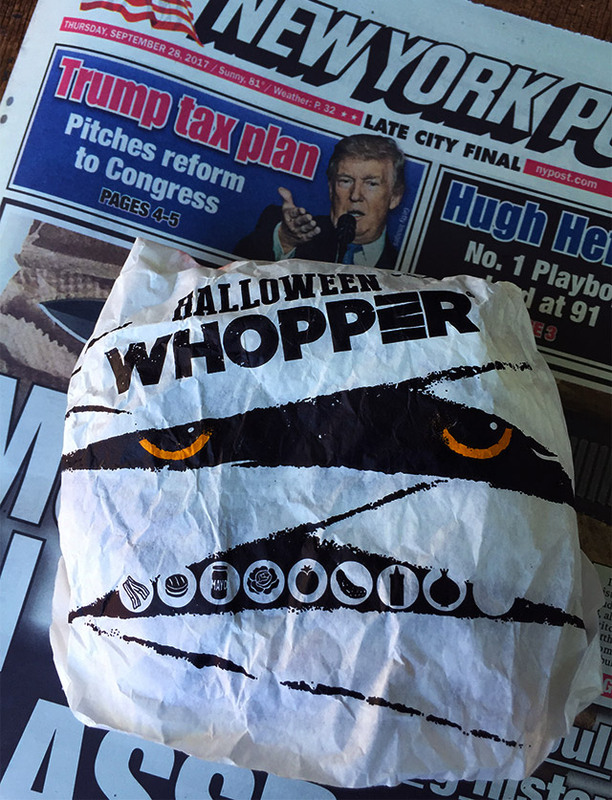 The Halloween Whopper was the shining star of the 2015 Halloween season. Even a thousand articles about green excrement couldn’t ruin the moment. 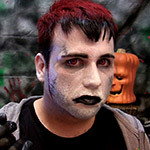 I’ve been running the Halloween Countdown since 2003. 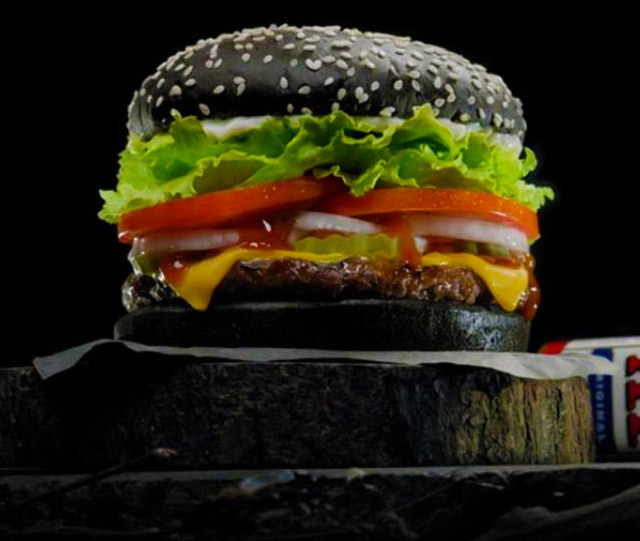 Even with all I’ve seen, I’d still probably call the Halloween Whopper the single best spooky food promotion of the last 15+ years. It was completely magnificent. Well, except maybe for that one part. Yes, I have kept a Halloween Whopper in my freezer for the past two years. For verification purposes, I took this photo with a copy of today’s New York Post clearly visible. Notice how Trump seems to be pitching his tax plan specifically to the Whopper? 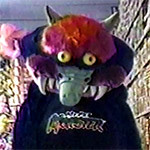 There’s rarely been a need for trigger warnings on Dino Drac, but this is a special occasion. The next few pictures are of a two-year-old cheeseburger. If that’s the sort of thing that might ruin you, stop reading now. It was in even worse condition than I’d anticipated. Those black buns did little to hide a generous amount of mold. The two-year-old vegetables definitely looked two years old. 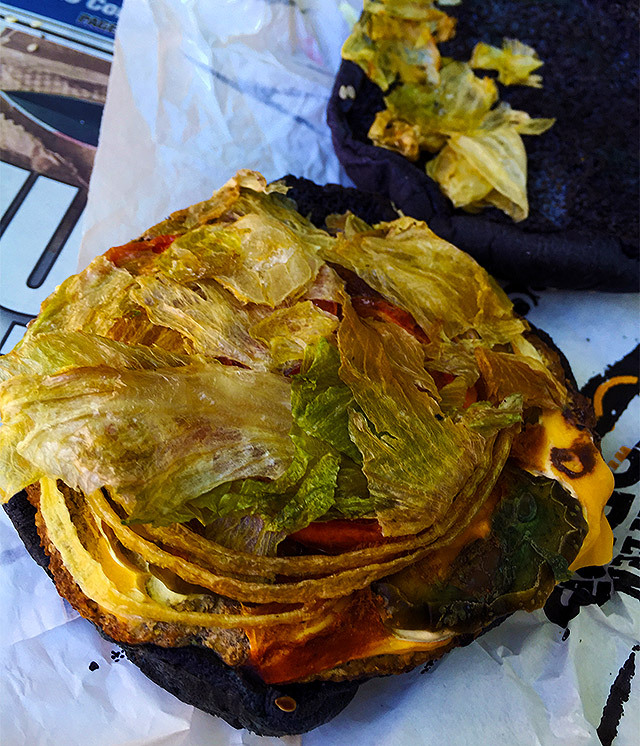 The meat patty, for its part, was like some ungodly combination of rusted pennies and dead frogs. 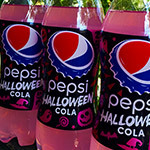 As the Halloween Whopper started to thaw, a stench filled the air. Picture pencil shavings mixed with angry mustard. 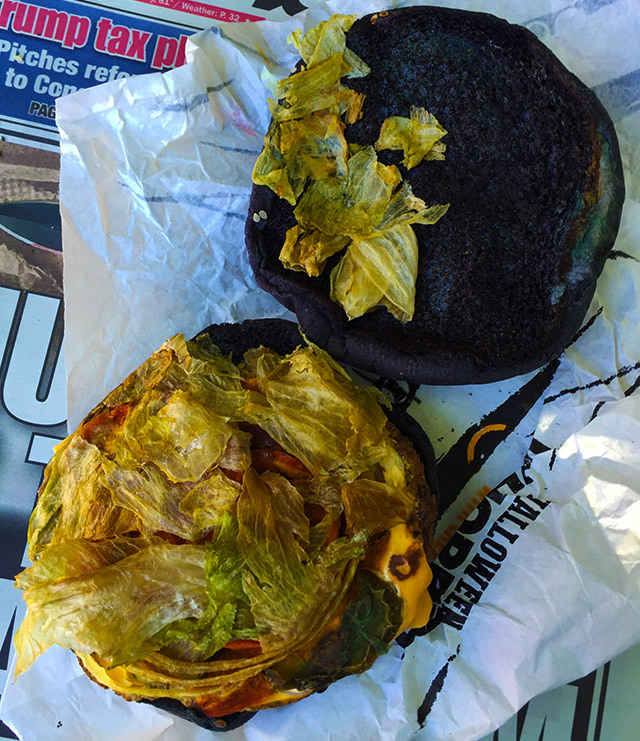 Horrified, I rewrapped the burger and tossed it back into the freezer. Why would I keep such an atrocious thing, you wonder? 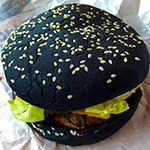 Well, can you name anyone else who still has a Halloween Whopper? If I have to be gross to be special, I’ll be gross.